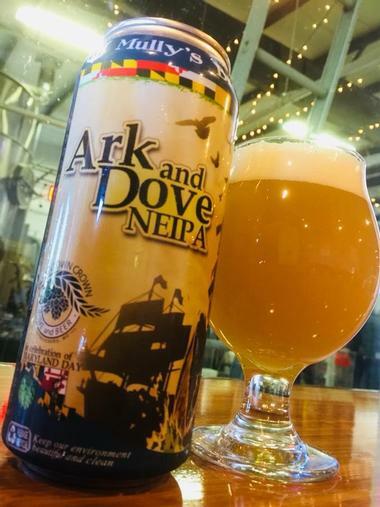 The local craft beer scene in Maryland has certainly grown over the years, with new breweries opening everywhere throughout the state. Each brewery seems to be doing something a bit different from the others. From the more traditional IPAs to unique, fruit-infused beers and barrel-aged brew, these local breweries are creating something for any palate. 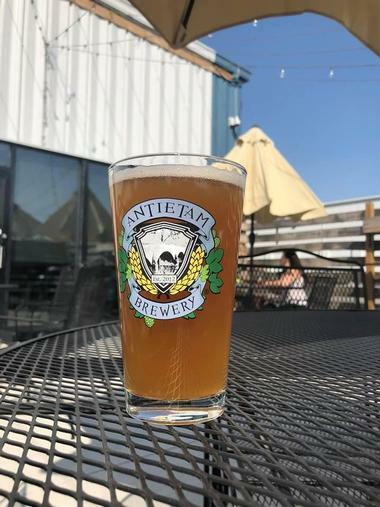 The Antietam Brewery is situated in Hagerstown, Maryland, and is the first craft brewery in the western region of Maryland. Ales produced here are produced in small batches, handcrafted with the freshest hops and finest ingredients available to ensure the freshest and highest quality craft beer. Antietam Brewery is committed to brewing beers that are consistently delightful, delicious, and excellent. The taproom at the brewery is well known for being beautiful and cozy, featured floor to ceiling windows that offer a look at the brewery, exposed brick, and wooden tables. Antietam Brewery beers are made to be delicious and boredom-crushing. 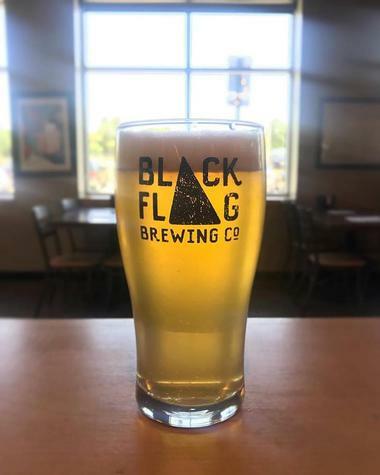 The Black Flag Brewing Company was the first brewery and taproom to open with ten taplines in the city of Columbia. 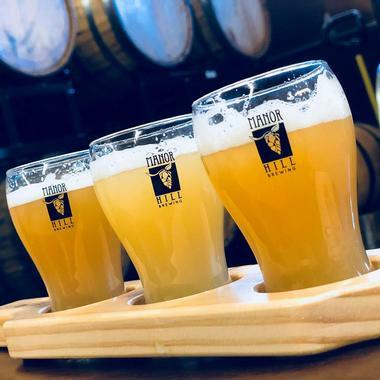 The taproom always offers five signature brews on tap, in addition to five rotating beers that are made using the brewery’s small batch system. On Thursdays, Fridays, and Saturday, food trucks are usually on-site, with the name of the food trucks announced online every week. Black Flag prides itself in standing in opposition directly to the established brewing norms. Beers are crafted to focus heavily on aromas and flavors without any concern for them fitting into a specific category. The Burley Oak Brewing Company, located in the town of Berlin, was established on the idea of using sustainable practices, as well as local artisans and materials. Bryan Bushmiller, in 2009, chose to turn his hobby of brewing beer into something much more. 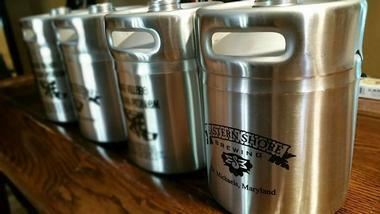 The small Maryland town is now the home of some of the state’s best beer. The beer list at Burley Oak is quite extensive, including nutty and creative beer names, such as Grow Op and Cinnamon Toast Brunch. Visitors can grab a pint or two and fill growlers in the Burley Oak taproom. 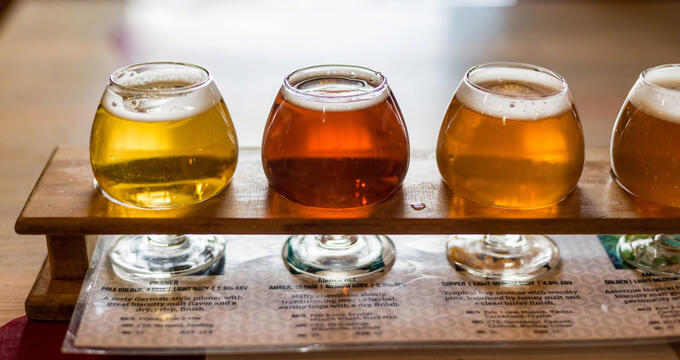 The beers produced on site at Eastern Shore Brewing are crafted with the finest ingredients available by Eastern Shore native, brewmaster Zach Milash. The craft brewery prides itself on the quality of its beer, rather than quantity, aiming for perfection with every pint. Beer is available for purchase at the brewery, and dogs and kids are welcome while adults enjoy a drink. The beers available for guests to sample are offered on a rotating basis, and there is usually something for just about any taste. Visitors can just look for the a large tan building with red barn doors. The Evolution Craft Brewing Company and Public House makes top-rated beers that pair well with amazing food, whether its food at home or at the restaurant. Located in the town of Salisbury, the brewery strives to create perfectly crafted brews. The Evolution Craft Brewery is tied to the Public House, the brewery’s restaurant, which features a sleek, urban, but still inviting atmosphere. This building was formerly an ice plant, with every room once a large freezer. Tours of the brewery are offered during the weekends, and visitors can find available times on the Evolution Craft Brewing Company website. The small Falling Branch Brewery focuses on crafting American and Belgian-style ales that feature an eccentric character. Ingredients grown by the brewery itself are used in the brewing process. 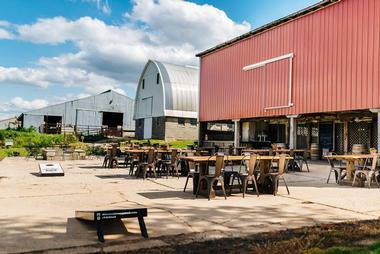 Visitors can drink a pint or two as they take in the view of historic barns and rolling hills. Open on Saturdays and Sundays throughout the year, the Taproom offers guests a chance to sample various craft beers, while snacks are offered at the bar and food vendors are typically outside. The Beer Garden at the Falling Branch Brewery is open usually around the end of the month of April through November. 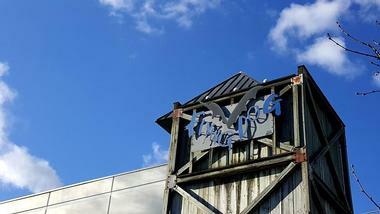 Visitors at the Flying Dog Brewery can experience the place where the malts meet the hops. Tours of the brewery are available free of charge on Thursdays, Fridays, Saturdays, and Sundays. Guests just need to book a reservation. For the tour, visitors should wear shoes that are close-toed. Afterwards, they can enjoy some of the beers in the tasting room. Visitors should note that nobody under twenty-one years old is allowed inside. Up to twenty different beers are available in the tasting room. There is limited capacity in the tasting room, but those participating in the brewery tour are guaranteed a spot. 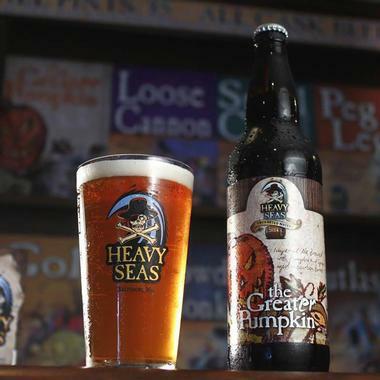 Heavy Seas Beer aims to sail to new horizons in brewing, guided by the traditional winds, and driven by adventure. Established near Baltimore’s harbor, the brewery was raised with a spirit for exploration. The beers of the Heavy Seas have been brewed independently since the year 1995. There is a drive at the brewery to create craft beers that capture consumers’ sense of adventure. The highest priority at Heavy Seas is quality in each and every endeavor. 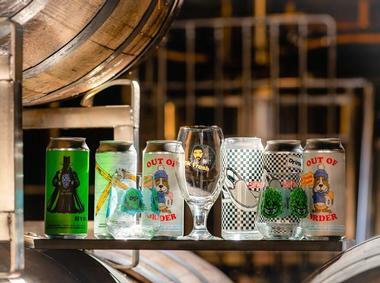 The brewery craft eighteen different styles of beers, distributing them to more than a dozen states, and has become an award-winning craft brewery. Located in Maryland’s Harford County, the Independent Brewing Company is one of the state leading production breweries. Founded in 2015, the brewery boasts a large taproom, as well as a patio, in the historic downtown area of Bel Air, Maryland. The brewery is bicycle-friendly, family-friendly, and dog-friendly, provided pets are well behaved. 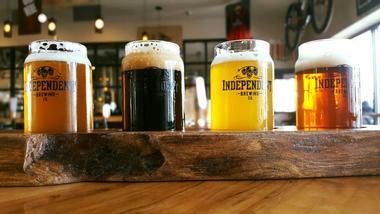 Independent Brewing Company boasts a convenient location at the top of the Bel Air’s Ma and Pa Trail. The brewery offers twenty-six taps on rotation of artisanal small batch ales and ciders. Many of these are made using locally grown ingredients, as well as gluten free. 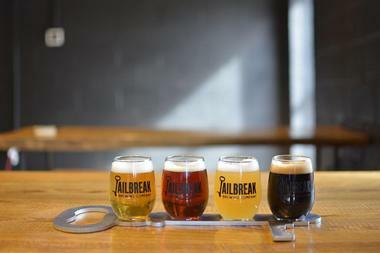 Started in 2013, the Jailbreak Brewing Company became a fully operational brewery in 2014 and now produces beers that are artfully crafted and designed to provide an escape for consumers from whatever life drama that is present in their lives. The brewing facility itself can be clearly seen from the Taproom. Guided full tours of the brewery and tasting are regularly available at Jailbreak, and tickets can be bought on the brewery’s website. Visitors can also join mini-tours at no charge on Wednesdays, Thursdays, and Fridays at 3:00pm. The place is closed on Mondays and Tuesdays. Manor Hill Brewing became the first farm brewery in Howard County when it opened. 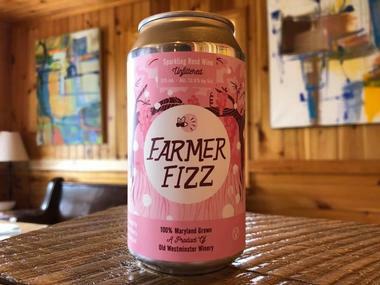 The brewery is situated in Ellicott City on the 54-acre Marriner Family farm. Seasonal high quality ingredients are used in crafting Manor Hill’s handmade beers, using both unique and original recipes. This results in hop forward, aromatice farmhouse-style brews. Visitors can try both full pour and samples at the Tap Room on Fridays, Saturdays, and Sundays. Guests can stroll through the Manor Hill brewery, meet some of the brewers and other staff, and take in the scenery of the farm. Children are allowed at the brewery. 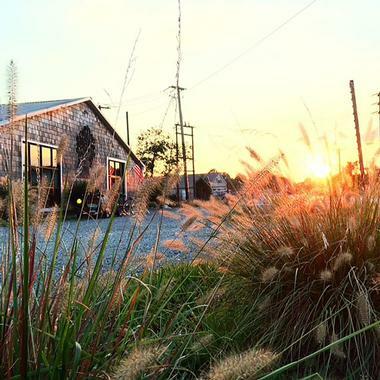 The beers made at Milkhouse Brewery are all handcrafted and farm grown in Mount Airy, Maryland. The brewery uses its own hop on every beer it produces, using much of the ingredients grown right on its own farm. Other ingredients are locally sourced from the neighborhood or other parts of the state to give the beers more local character. Ales are brewed in the traditional styles at Milkhouse Brewery, and visitors are welcome to visit the brewery on Thursdays, Fridays, Saturdays, and Sundays. Five year-round brews are produced, along with a few rotating seasonal beer releases. 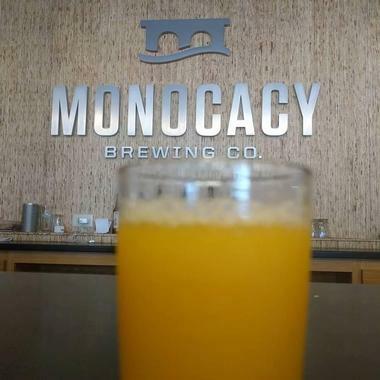 The Monocacy Brewing Company, first open for beer production in 2011, crafts quality, full-flavored, unique lagers and ales in downtown Frederick, Maryland. Local, fresh ingredients are used to create beers in several different styles. Visitors are welcome to try some of the unique and flavorful brews in the tasting room or join of the regularly scheduled tours of the brewery. The tasting room is a gathering place for growler sessions, tasting parties, and tour groups, and a great place to try Monocacy’s beers, open from Thursday through Sunday. Multiple guided brewery tours are offered on Saturday afternoons. 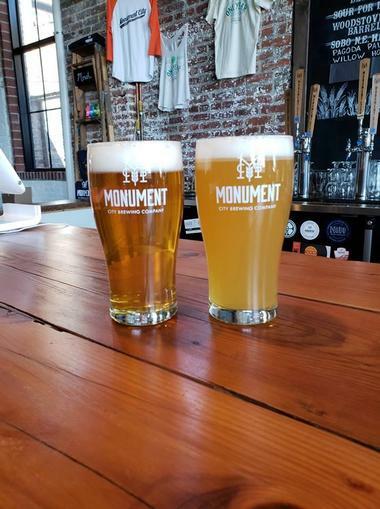 The Monument City Brewing Company can be found along North Haven Street in the city of Baltimore. The story of the brewery started when Matt and Ken, two brothers, decided to work together in a mission to make truly craft beer through the use of the traditional methods of American brewing. Monument City today is housed inside of a historic industrial building in the city and includes a tap house. 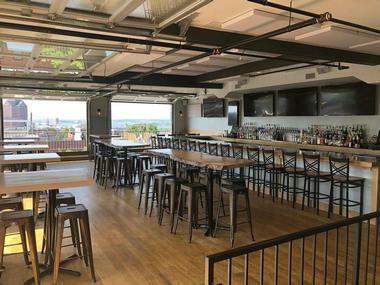 Visitors can spend some time in the Tap House where they can sample beer flights of brews produced by Monument City, like Battle IPA or 51 Rye, or instead enjoy a pint. The family-owned and operated Mully’s Brewery was founded by Jason and Cindy Mullikin, both graduates of the World Brewing academy, certifiable beer geeks, and award-winning homebrewers. Located in Prince Frederick, the brewery share locally made, quality, craft beer in such styles as stout, blonde, IPA, and pale ale. Mully’s also occasionally produces more unique and interesting beers in addition to the more traditional ones. Brewery tours are offered during the weekends at 1:00pm, 3:00pm, and 5:00pm. These tours last between fifteen to twenty minutes. One of the brewers takes guests on the guided tour, explaining the brewing process. Visitors at the bike-friendly Peabody Heights Brewery can sample up to twenty different beers at the tasting room. Guests can also enjoy a pint in the brewery’s beer garden throughout the summer season. Located on what was once Old Oriole Park, Peabody Heights is newer type of beer company. It is a locally-owned brewery of independent craft beers. The brewery is the largest in Baltimore City, and offers tours of the brewery to the public. The tasting room at Peabody Heights Brewery is open on Wednesdays, Fridays, and Saturdays. Visitors can ask the staff about touring the facility. At the Pub Dog Brewing Company, guests can visit the tap room in Westminster, Maryland every week on Thursdays, Fridays, and Saturdays. Visitors can sample some of the beers produced by the brewery, enjoy a pint or two, of fill a growler they can take home with them. Brewery tours are also available typically once a month, offering the public a chance to see where the Pub Dog beers are made. 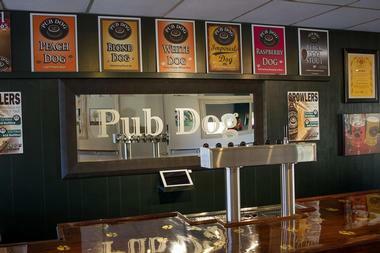 Reservations for the brewery tour can be made on the Pub Dog Brewing Company website. There is a small fee for the tour and includes beer samples and a beer mug. RAR Brewing began during the summer in 2013 and strives to consistently craft products that the local community of Cambridge can be proud of. Based along Chesapeake Bay, out of Cambridge in Maryland, the local beers of RAR are brewed by local boys. The taproom at the brewery boasts forty-six seats and a handcrafted bar made out of Cedar. There are also several Red Oak tables that are supported with works of art made by local artists. The taproom also serves a menu of pub-style food that perfectly pairs with the rotating tap lineup of the twelve-tap draft system. Scorpion Brewing is craft microbrewery situated in southern Maryland’s Calvert County. The brewing company prides itself on creating beer using locally sourced ingredients and embracing the experimentation, adaptability, and flexibility that is allowed with a small brewery. All of the beers are made in house with a focus on brewing technique, flavor, and quality. 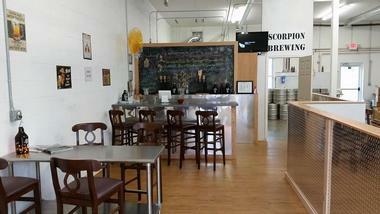 The tasting room at Scorpion Brewing was designed keeping in mind the sense of community. Pets and children are allowed, and free wireless internet is available, as well as some old-school games to keep kids busy, such as classic Frogger, foosball, and pick-up sticks. 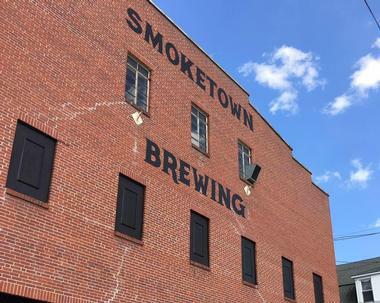 Once a 1948 fire station, the building housing the Smoketown Brewing Station in the town of Brunswick has been transformed into a craft brewery and tasting room. The tasting room is open for visitors to come try samples of the craft beer produced at Smoketown, relax with a pint, or fill growlers to take home five days a week, Wednesday through Sunday. Several of the beers are also available in 6-packs, such as the German Crossing Hefeweizen, the Berlin Brown, and the Potomac IPA. Smoketown is a family-friendly brewery with seating available in the tasting room and patio. The Brewer’s Art, located in the city of Baltimore in Maryland, is a restaurant and brewpub that opened in September of 1996. The brewpub was named as America’s best bar by Esquire magazine in 2008. The brewery and restaurants spans across two floors. 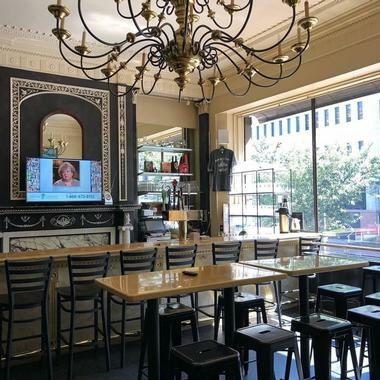 The ground floor features a dining room and a bar, while the lower level contains a smaller bar that serves pub fare and drinks. There are several cavernous-like small rooms as well as that have tables at which guests can eat their food or relax with a drink. The Brewer’s Art specializes in Belgian-style beers and upscale American fare. 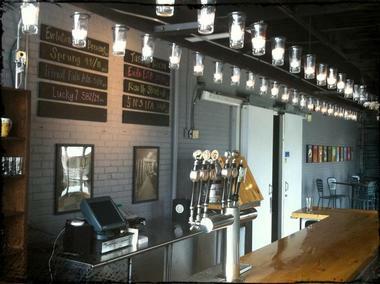 The Tap Room at Union Craft Brewing is open Wednesday through Sunday. Visitors can grab a pint with friends, listen to music, play a few games, or grab something to eat from the brewery’s Well Crafted Kitchen. Visitors can join a free brewery tour on Saturdays at 1:30pm, 2:30pm, or 3:30pm. Dog aren’t allowed in the Tap Room, but they are welcome in the beer garden. Union Craft Brewing boasts a family-friendly environment and allows children in the Tap Room during most hours. After 8:00pm, nobody under twenty-one years of age is allowed in the Tap Room. 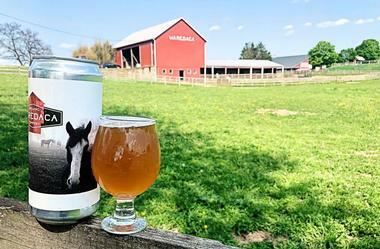 The Waredaca Brewing Company is situated in Laytonsville, Maryland on a horse farm that encompasses 220 acres. The brewery is a destination for both animal lovers and beer lovers. The brewery is still run by the family that has been farming this land since the year 1932. The horse farm surrounding the Waredaca brewery is an operational horse farm. Guests can even sign up for camps and lessons. Seven or eight different beers are available on tap at Waredaca at any given time, ranging from stouts to IPAs. Each brew contains at least one farm ingredient, from honey to hops. 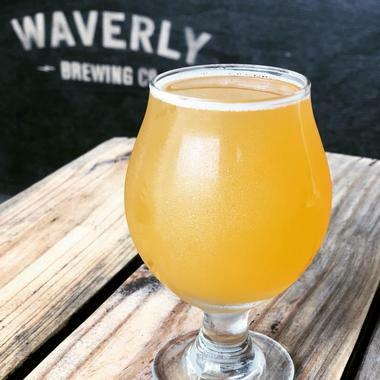 Located the city of Baltimore, within the Hampden-Woodberry area, the Waverly Brewing Company strives to craft hardworking and honest beers that are still experiential and playful. Rather than focus on a specific flavor profile, Waverly brews what they like to drink, always eager to make interesting and new brews for sharing with their friends and visitors in the Tap Room. The Tap Room, also known as “The Shed,” is open every day except for Mondays, and is the best way for people to enjoy a fresh pint of Waverly Brewing Company beer, and the only place to get seasonal and experimental brews.